WASHINGTON, D.C. – (RealEstateRama) — U.S. Secretary of Energy Rick Perry announced up to $105.5 million to support America’s continued leadership in energy innovation through solar technology. Under the Department of Energy’s (DOE’s) Solar Energy Technologies Office (SETO), DOE will fund about 70 projects to advance both solar photovoltaic (PV) and concentrating solar thermal power (CSP) technologies, as well as facilitate the secure integration of those technologies into the nation’s electricity grid. Funding will also support efforts that prepare the workforce for the solar industry’s future needs. This funding opportunity announcement (FOA) will further the Administration’s goals to drive economic and technological leadership in solar energy by supporting innovative research that improves energy choice and affordability. These research projects will address the earliest stages of technology development, enable significant improvements to the current fleet of solar technologies, and maintain U.S. leadership in solar energy. The 2018 SETO FOA will combine all of SETO’s technology areas into one request. By creating a more streamlined and consolidated funding strategy, DOE seeks to accelerate the cycles of learning in solar research and reduce government overhead costs. These projects will advance research on technologies that enable the seamless integration of solar energy onto the nation’s electricity grid. By supporting advances in power electronics, solar plus storage, and PV-integrated sensor technologies, the work will help ensure a smooth transition to a secure, reliable, and resilient grid of the future. These projects pursue innovative CSP concepts and technology solutions that enable the solar industry to reach DOE’s 2030 levelized cost of electricity (LCOE) targets for CSP, including $0.05 per kilowatt-hour for systems with greater than 12 hours of onsite storage. Research in CSP will focus on advancing elements found in CSP subsystems, including collectors and thermal transport systems for advanced power cycles, while pursuing new methods for introducing innovation to CSP research. These projects support early-stage research to increase performance, reduce materials and processing costs, and improve reliability of PV cells, modules, and systems. These projects support DOE’s efforts to lower LCOE to $0.03 per kilowatt hour from utility-scale systems by 2030, which is half the cost of utility-scale solar today. · These projects will pursue innovative initiatives that prepare the solar industry for a digital future while also increasing the number of veterans and participants in the solar industry. 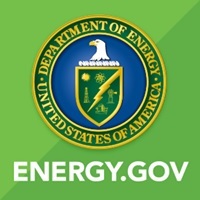 Within each of the technology areas, DOE will fund projects that develop and test new ways to accelerate the integration of emerging technologies into the solar industry value chain and expand private sector engagement supporting energy innovation, especially those related to financing and commercialization. Sign up HERE to learn more about this funding opportunity at an upcoming webinar. For more information on the Solar Energy Technologies Office, visit their website HERE.